Children are exposed to a wide range of learning opportunities in the early years. These should be developmentally appropriate as early exposure can do more harm than good.  Personal, social and emotional development.  Expressive arts and design. For many years there has been an early years curriculum in place to support learning from birth to the end of the reception year in school. It has been designed to ensure that nursery officers, childminders, and school teachers offer a broad set of experiences to children in their care. The emphasis is on promoting communication and language, social and emotional development and physical skills for the youngest children. As children reach their third year of life, there is additional emphasis placed on teaching specific skills to enhance children’s love of books and reading, writing for a purpose, mathematical and technical skills, creative and imaginative opportunities and knowledge of the natural and man-made world. For many parents, the curriculum can be seen as a structured system to back up all the excellent work they have already, and will continue to offer their children at home. For other parents who are not as focused on engaging with their children’s development, there will be a lot to learn from practitioners in nurseries and schools so that they can keep up with what their children are being encouraged to do and learn as they grow. For all parents, there are many websites where they can find detailed information about the Early Years Foundation Stage as the curriculum is named. All schools and nurseries publish information to support parents as well as to engage them in their programme of activities. Above all the Department for Education in the UK offers detailed guidance on the early years and the national curriculum for all ages of children. The guidance below is a quick explanation to help parents understand what is expected and how they can give general support. This curriculum has been written to encompass all ages of children under five, extending to the end of the reception year in primary school. There are three base areas of the curriculum for under 3s, and four additional areas for over 3s till the end of the foundation stage. Not only children’s knowledge and skills are assessed at the end of the Early Years Foundation Stage, but also their characteristics of effective learning. These reflect the importance of understanding the individual ways in which children take in new skills and ideas, how some like lots of action and practical experiences while others are more motivated by theoretical and contemplative ways of learning. The skills and expertise of teachers, childminders, and nursery officers are assessed through the 3 or 4 yearly Ofsted inspections of schools and nurseries. There is a raft of safeguarding regulations that form the basis of their registration for taking children and for securing their on-going safety and well-being. A strong principle of the curriculum for the very young is that parents are engaged as much as possible so that they understand what their children are offered in these institutions and that they should feel strongly inspired to help their children learn and flourish. Early education in the home has to be based on love and good bonding. Giving your child a sense of importance in the family and making him feel secure is essential for good learning to take root. From birth, support your baby to enjoy listening to your voice quietly singing, talking to him and giving him time to respond as well as to listen to you. Let him gaze into your eyes and read your feelings and emotions in your tone of voice and facial expressions. The more your child participates in activities with you in the home and on walks to local parks and places of interest, the more he will internalise your ideas and value systems. Children are brilliant copyists. They watch you, and the adults and children around them, and copy all day long what they see. This is the reason why you always need to try to be the best role models for your children. This area of learning is about stimulating your child’s love of books, reading and writing. If you begin early to introduce children to books they can enter into the magic and imaginative worlds that they offer. Many stories are allegories about real life so by reading them with your child you are taking an essential step in helping him make sense of people, their personalities and emotions that they will encounter at all times in his life. It is easier for your child to work out feelings and how to deal with them if he has discussed them through the literature he has read as a child. It is also important for parents to introduce children to the tools of language, such as the alphabet, dictionaries, and grammar. These are basics that they can become familiar with to improve vocabulary, understanding, and sentence construction. Play word games like ‘I spy’ (emphasising initial sounds), enjoy alliteration (when words begin with the same letters), and rhyming words (when words end with the same sound). Try not to expect reading too early though, it’s about enjoying words and stories and rhymes in the early years. Early mathematics is all about using mathematical concepts whenever possible in communicating ideas. Counting the steps on the stairs as you walk up and down, counting parts of your body and singing number songs all help your child learn basic maths skills. There are lots books that you can borrow from the local library that help your child practice counting and comparing sizes. Involve your child in daily tasks that match and compare patterns, such as setting the table, sorting out clothing into categories, matching socks and gloves, comparing the sizes of everyday objects such as towels, cups, spoons, shoes, etc. Write shopping lists with your child and take him to supermarkets and other food markets and teach him to investigate the details about weights and measures, as well as about spending money. Children love to be engaged in important decisions about food, and they are much more likely to eat what they have cooked themselves so teach them about how to create simple and tasty dishes. This area of learning concerns exploring and investigating the natural and man-made world. Give your child safe access to the outdoors, taking him on walks to parks and places of interest such as museums and galleries. Children are never too young to enjoy seeing sculpture and paintings and it is essential that they learn from the earliest time to value creative arts and expression. Parents should take children to free museums to learn about the past and to a range of galleries to explain contemporary as well as ancient cultures. Also, take your child to visit city farms and zoos so that he can learn about domestic and wild animals. Help him to understand where they come from, and the conditions in which they flourish. By taking an interest in live animals, children can make associations with the animals and environments that they read about in books and stories. Real experiences broaden their comprehension, as well as their ability to develop caring and sympathetic attitudes to living creatures. 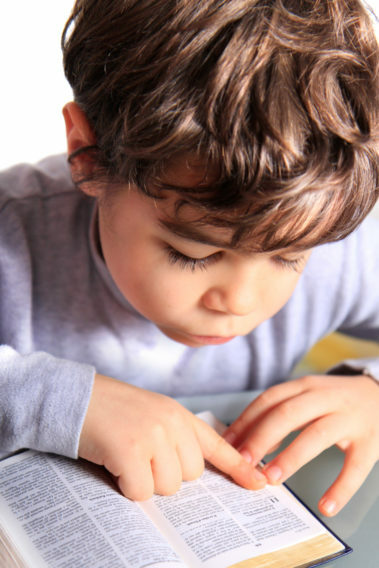 Improve your child’s knowledge of technology by teaching him to use a wide range of electronic equipment as well as develop an interest in how they work by allowing him to take old circuits or old clocks apart so that he can inspect their innards. Taking things apart and putting them together again, or not, stimulates interest and curiosity. It is not destructive to take things apart, it is technical and scientific exploration and should be valued as such. Modelling with malleable materials such as dough, plasticine, clay, etc. Painting with wide or narrow paint brushes with water based or acrylic paints – on wallpaper in the garden, or sugar paper indoors, etc. Drawing with pencils, crayons, and pens. Building models with recycled materials. Cutting and sticking magazines and photos. Stimulate your child’s imagination by letting him make dens with cushions and blankets under the kitchen table. Create opportunities for him to take in his toys and let him have tea with his toy tea set. Empower your child to dress up in your old clothes, shoes and bags. He will re-enact the experiences he has learned about through stories and in real life. Make music an important part of your child’s life. Listening to a variety of classical as well as contemporary music will help children learn about rhythms and beats, and will inspire them to take an interest in dancing and playing musical instruments as they grow. Altogether a rich and varied environment in early life will make the difference between your child managing nursery and school expectations, or him feeling alien to education. It is therefore up to parents to use every opportunity to be responsive and inspiring from the start.